The first step to separating yourself from your business is to understand the changes to expect. Before you take any action, you need to observe the implications of the changes you’re going to make, establish the mindset to prepare for it, and identify the new standard for which your company will operate. From there, we’re going to analyze your existing business systems to extract the responsibilities that can be delegated or automated. Here you’ll be preparing the roadmap that will transform your company into a series of lean, efficient systems. You must be able to handle new growth in order to scale your business rapidly. Finally, we’re going to take a deep dive into building the exact systems that will enable your company for growth. You’ll learn how to approach the designing and implementing of every new system that can enhance your business. From Recruiting to Interviewing, Boarding to Training, and supporting your staff as well as your clients. We’ll cover the step-by-step process to building the systems that scale. Have a look at our detailed course content and feel free to sample some of our public modules so you know exactly what to expect. Engaging and informative, business theory doesn’t always have to be boring. 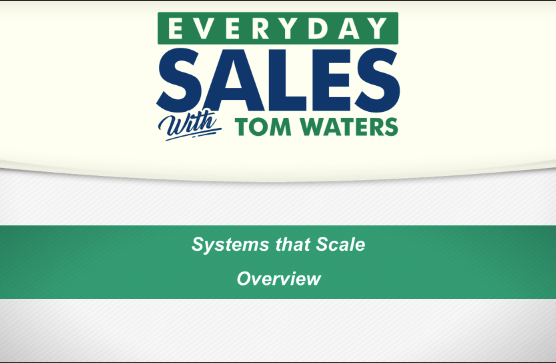 Systems that Scale is designed in 3 parts, to help you transform your one-person or small operation into a turn-key, self-sustaining enterprise. By the end of the course, you’ll be equipped with the exact roadmap to enable your business to thrive without your constant oversight.